- 3D Flips: Show off to your friends! - Adjustable Speed Modes: Low, Medium, high. Fun for both Beginners and Experts. - LED Lighting: Equipped with LED navigation lights and controller indicator light for night flight and battery power alert. 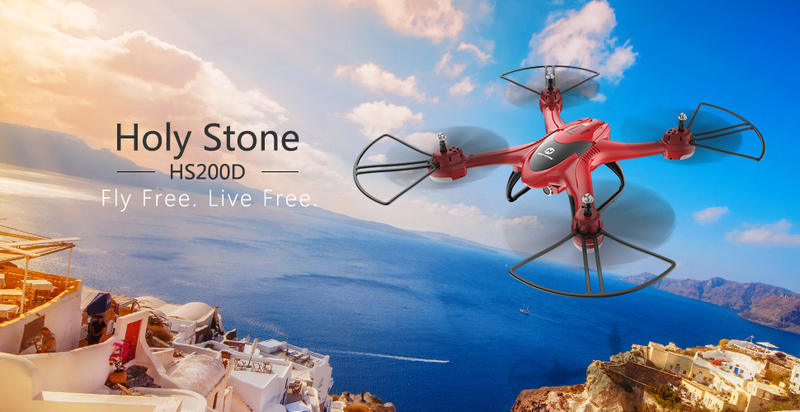 FOV 120° 720P HD FPV CAMERA: This high-quality camera captures memorable moments. See the world through the eyes of a bird. FPV REAL TIME TRANSMISSION: with high definition wide-angle camera, the drone can perform the FPV streaming live video very well and offer you a new perspective of amazing world from the air. ALTITUDE HOLD: Hover in a certain height once you release the throttle stick. Help players at any level especially beginners to control the drone perfectly. Images can be steadily snapped. HEADLESS MODE: Great functions when the drone is out of sight. The function depends on the direction of the user when he pairs the model. EASY FOR BEGINNERS: Modular design of battery and camera; Far Control Range: about 100 meters; Long Playing Time: 10 mins; Powerful and Modularized Li-Po Battery: 1000mAh; Quadcopter System: 2.4GHz 4 Channel 6 Axis Gyro Tech; Advanced ABS plastic and Charming Colors.